You can use AppMetrica to view statistics on the results of push campaigns enabled in your app using the AppMetrica Push SDK. 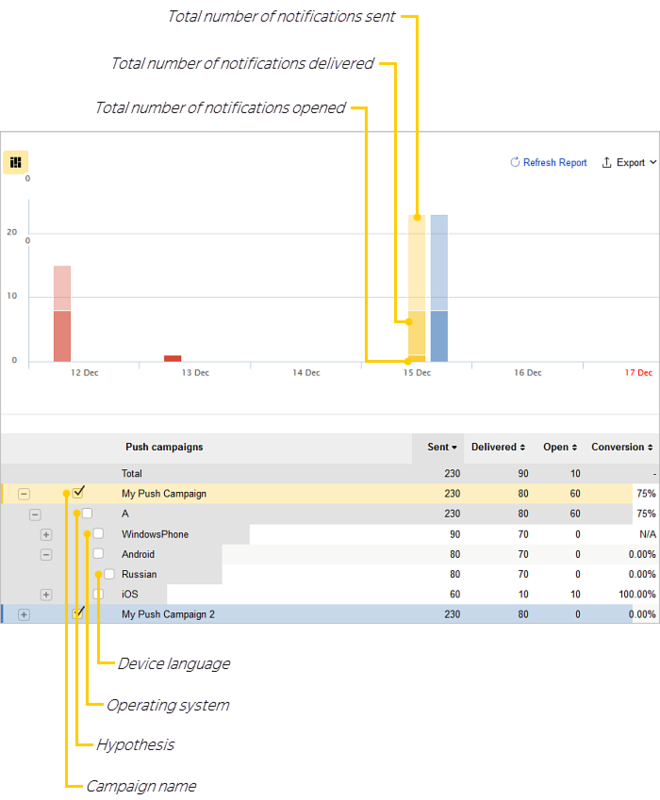 The report shows the ratio of the number of push notifications sent, received, and opened. The total number of push notifications sent is grouped by user device. If A/B testing wasn't configured when creating the push campaign, all the information about notifications is for hypothesis A. During a push campaign, it is important to track conversion rates. In this case, the target action is opening the notification, and the conversion rate is the percentage of opened notifications out of the total number of notifications delivered.